Guy Van den Broeck obtained his Ph.D. in Computer Science from KU Leuven, Belgium, in 2013. He was a postdoctoral researcher in the automated reasoning lab at the University of California, Los Angeles in 2014. He currently works as a postdoctoral researcher at KU Leuven and is supported by the Research Foundation-Flanders. His research interests are in artificial intelligence, machine learning, logical and probabilistic automated reasoning and statistical relational learning. His work was awarded the ECCAI AI Dissertation Award 2014, Scientific prize IBM Belgium for Informatics 2014, and Alcatel-Lucent Innovation Award 2009. He received the best student paper award at ILP 2011 and a best paper honorable mention at AAAI 2014. He co-organized the 4th International Workshop on Statistical Relational AI (StarAI) at AAAI 2014. 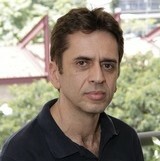 Wagner Meira Jr. obtained his PhD from the University of Rochester in 1997 and is Full Professor at the Computer Science Department at Universidade Federal de Minas Gerais, Brazil. He has published more than 200 papers in top venues and is co-author of the book Data Mining and Analysis - Fundamental Concepts and Algorithms published by Cambridge University Press in 2014. His research focuses on scalability and efficiency of large scale parallel and distributed systems, from massively parallel to Internet-based platforms, and on data mining algorithms, their parallelization, and application to areas such as information retrieval, bioinformatics, and e-governance. Dan Olteanu is Associate Professor in the Department of Computer Science at the University of Oxford and Fellow of St Cross College. He has also taught at UC Berkeley and universities in Munich, Saarbruecken, and Heidelberg. 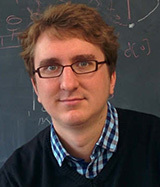 He received his PhD in Computer Science from Ludwig Maximilian University in Munich in 2005. His research interests are in databases and he contributed to XML query processing, incomplete information and probabilistic databases, and more recently to factorized databases and the industrial-strength LogicBlox database system. He is a co-author of the book "Probabilistic Databases" (2011). Olteanu has served in over 50 programme committees of international venues, as associate editor for PVLDB'13 and IEEE TKDE, as PC chair for BNCOD'13, as track chair for ICDE'15, and group leader for SIGMOD'15. Victor Vianu received his PhD in Computer Science from the University of Southern California in 1983 and joined UC San Diego in 1984. Aside from UCSD, he has taught at the Ecole Normale Superieure and Ecole Nationale Superieure des Telecommunications in Paris, as well as the Sorbonne. He has spent numerous sabbaticals as invited professor at INRIA, where he now holds an International Chair. 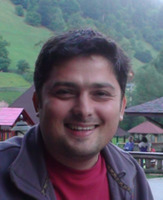 Vianu's interests include database theory, computational logic, and Web data. His most recent research focuses on specification and verification of data‐driven Web services and workflows. 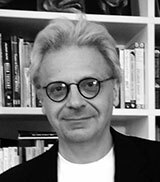 Vianu's publications include over 100 research articles and a graduate textbook on database theory. He received the PODS Alberto Mendelzon Test‐of‐Time Award in 2010 and has given numerous invited talks including keynotes at PODS, ICDT, STACS, the Annual Meeting of the Association of Symbolic Logic, and the Federated Logic Conference. Vianu has served as General Chair of SIGMOD and PODS, and Program Chair of the PODS and ICDT conferences. He is currently Editor‐in‐Chief of the Journal of the ACM and Area Editor of ACM Transactions on Computational Logic. He was elected Fellow of the ACM in 2006, Fellow of the AAAS (American Association for the Advancement of Science) in 2013, and is a member of Academia Europaea.